The show begins with Shankar Mahadevan singing Jhoom Barabar Jhoom title song.. He asks all the participants to join him on stage and they all sing the same song together.. Aditya asks everyone to applaud for Shankar and welcomes everyone for the show..
Aadesh - Ur great and you are the finest singer..
Himesh - Superb, Fantastic, Mindblowing, outstanding..
Pritam - Har Har Mahadev..
Aditya welcomes Kavita on the show.. He then says, We have heard, the trio SEL is called Amar, Akbar and Antony.. Tell something about.. Shankar says, We are different in size, we are from different musical background, we are from different religion.. Thats why we are called so.. Its a coincident and we are enjoying it..
Aditya says, Today is Rakhi and to support our contestants we have the brother-sister Jodi - Ekta Kapoor and Tusshar Kapoor... They both enter the stage.. He says, Welcome you both to show and wish you and all our viewers Happy Rakhi.. Aditya asks them to share one of the special moment on Rakhi.. Tusshar says, We always fight and any day its war in the house.. Regarding who gets the maximum beatings, Ekta says I would have been half the size if my parents had beaten me instead of Tusshar.. I have got the maximum.. Aditya says, We dont beat each other these days..
Aditya tells, their new film "KCcompany is about to release and asks Tusshar to tell something.. He says, The caption is when loosers become rulers.. Its about 3 individuals struggling to come up..
Aditya asks All the actors are afraid of Ekta.. So, are you also afraid?? Tusshar says, I am always afraid when she comes on sets. She never comes.. But she is more afraid of me and even if she comes, she will not say anything... CKkompany promo is shown..
Himesh - I am a big fan of Ekta.. When someone thinks about television even after 100 long years, Ekta will be on top..
Shankar tells Tusshar, I want you to say that dialogue which you used to say in Golmaal, I am a big fan of you... Tusshar acts the dialogue for Shankar..
Sara and Fareed are asked to get on stage.. Aditya says, Fareed recently visited his house after 3 long years... Fareed says, Before 3 years, I left my house and came.. I didn't keep in touch with any of my family members.. After getting selected I called my parents and said I want to come for Rakhi.. From then, Rakhi has become my favorite festival.. An AV is shown where Fareed's sister ties rakhi for him.. She wishes him luck for the future..
Aditya asks Sara, How do you find this festival.. She says, I loved the festival.. In Pakistan also we celebrate the relationship, But we dont celebrate this festival.. I feel very happy, but I missed my two brothers.. Tusshar says, "If you want, you can tie rakhi for me".. Sara ties rakhi for him and he gives her a ticket as gift.. Aditya says this is not a ticket for your return but a ticket to Ajmer Sheriff which you wanted to visit. He sings Kyun is kadar Hairaan tu.. Singer - Raman Mahadevan.. MD - Shankar Ehsaan loy..
Aditya says, the songs of this album was done differently.. First lyrics were written and then the music was composed.. Shankar says, Not for all the songs but for this song.. The essence of the song can be felt while seeing the song in the movie..
Shankar - He sang very well.. He was worried about the last peak in the song, but he did well..
Pritam - You have great voice and quality of the tone is very good..
Aditya says, there is something written about the contestants in the pritam puran as well and asks Pritam to share something abou Sayon.. He says, There is a connection between Sayan singing and Ghosts.. Sayan says, he started learning when he was studying in KG and got inspired by a Bengali ghost film.. He thought just like in film, he will also get 3 wishes fulfilled..
Himesh - You sang very well and the expectations are very high from you.. So, you should start doing much better..
Aadesh - All the mentors have said it right and you have that original voice..
Kavita - Your singing, personality is charming.. You have the potential and you maybe able to touch the note..
Ekta - He looks as cute as he sings.. You expressed the song well..
Tusshar - It was very tense and the song had the soul..
Anupama is called on stage and she had also gone to Delhi.. She is seen with her kid and her family members.. Her parents say, my daughter has come after 3 months and we missed her.. She ties rakhi for her brother... She sings Aaj ki raat from Don.. Singer - Sonu Nigam.. MD - SEL..
Aditya tells Ekta.. She is a daughter in law and has always got the support from her Mother In Law.. She too wants to say something.. Anupama says, I love Kyunki.. We have learnt a lot from the serial.. After seeing my mother in law all I want to say is, "You should make a serial showing the nicer version of relationship between the mother in law and daughter in law".. Ekta says, "The relationship between Tulsi with her daughter in law is nice and I hope you too continue to have such a relationship with ur mother in law"..
Himesh - I would like to wish your mother-in-law.. Shankar also said, she sang well..
Shankar - The one to praise here is, the original song had the chorus, but she sang without any chorus..
Pritam says, you sang well and from Pritam Puran he says, Anupama's eleven month old child made her to hit the right notes.. She says, I always used to riyaz at home after my mother in law compelled me.. As and when I start the riyaz, my son also used to cry.. So, we both started to do riyaz together.. He used to cry and I used to do riyaz..
Ekta - Anupama ne apne sasuma ko saaz aur sason se khush kardiya hain..
Ekta requests Shankar to sing the Maa song from Taare Zameen Par.. He sings the song.. Aditya also joins him..
Tusshar - Great attempt.. You did very well..
Kavita - I feel your name has been joined along with this song.. I somehow feel the song should be featured on you..
Pallavi is called on stage and she says, "I had gone to Hyderabad for Rakhi after 3 months.. My parents were missing me and my brother had come for Rakhi from Bangalore".. An AV is shown where she is received at the Hyderabad airport and She ties rakhi for her brother.. She sings chup chup ke from Bunty aur Babli... MD - SEL..
Shankar - I loved the performance.. Mahalakshmi Iyer and Sonu sang very well... You too did a good job.. He asks her to sing the anthra.. You now sang well, but it didn't come perfectly before..
Himesh - Im happy.. You sang well.. In one moment to sing this song is difficult..
Aadesh - Singing this in one attempt is difficult.. You did well..
Pritam - it was a great attempt by you..
Kavita - The anthra is very difficult to sing.. And you did a very good job..
Tusshar - I felt you are very hard working.. Just like your mentor, you will also reach great heights... he says, I know you are looking for Ekta, but There is a foreign delegate who has come and she had to go and meet her..
Sujat Ali Khan sings Mitwa from KANK.. Singer - Shafqat Amanat Ali.. MD - SEL..
Aditya asks Shankar Why did you get Shafqat to sing song?? He says, I heard Shafqat singing Aankhon ke sagar in a radio show and the RJ was a friend of mine.. So, I got Shafqat to sing the song... Himesh asks Shankar to sing the sargam as Sujat left it in the middle.. Shankar sings the sargam and says, I liked Sujat performance and it was good in parts.. It was not steady in scale.. You have to beat your first performance..
Aadesh - No one can say correctly other than Shankar.. You have sung this difficult song, thats a great job..
Himesh - Anthra was good, Mukhda was not good.. Just catch one genre and strike in that because you cant sing songs of all genres..
Kavita - I have already heard you once and I loved this performance of yours.. Keep the love for music..
Mitika sings saiyaan ko chodke na jaa.. Singers - Shankar, Loy and Shilpa..
Tusshar - You sang it very differently and I felt // thats called confidence..
Himesh - We all enjoyed it..
Shankar says, There is one musician amongst us who also has played music in the original album and he is Girish.. Girish is applauded by the audience..
Aadesh - We can easily know that you have got the talim..
Pritam - You always take it seriously.. pritam puran says, Dhoom ek aisi cheez hain which was a hit, which is a hit and which will always be a hit..Shankar says, now this is something, that is not written in Pritam Puran.. There is something very fantastic about your performance.. Among girls, Mitika is In.. Anupama is in.. Among girls, Pallavi is eliminated.. I wasn't there and you came in.. You are getting eliminated today.. Pallavi says, I have the Sanjivani bhooti.. Himesh says, If you have the hope, then I will not take out the hope from you..
Kavita says, "If everything was in my hands, I would have kept both of you.. But if you have music as your destiny, then you will definitely reach"..
Pritam - I feel very happy.. But Im equally feeling bad for Sayan.. Sujat, do keep everything that has been said by mentors..
Tusshar - Even if something does not happen good, then just keep the positive attitude in you and think that God will do something good for you..
Sanjivani bhooti decision.. All the mentors write the names in chit and give it to Aditya.. Sayon gets 3 votes and Pallavi gets one vote... So, Sayon gets the sanjivani bhooti..
Aadesh goes on stage where Tarun ties rakhi.. Faraz singing the songs in previous episodes is shown as AV.. I am giving you lot of blessings.. The blessings should be there in our family always.. Tarun's sister says, I never thought that someone will come to know about me.. There are many who say, I will definitely come for your wedding.. Aadesh says, its a promise that we will do your marriage with lot of fun and masti..
Aditya says, All three will have to sing one after the other and then the decision will be taken..
Tusshar also agrees with Kavita..
Now Aditya says, we dont know what will happen to the decision of these three.. We need to wait until next week Sleepy. I have a suggestion for you...to make life easier. instead of posting all the comments by the judges etc. I would advise you to put up a subjective review of the episode. after all, all of us can see the vidoes and it will save you time and energy. The epissode was fine but the controversies at the end just took the charm away. what is the use of judges fighting about all 3 singers who are given a second chance, and ultimately retaining all of them? Just a TRP tactic. already some singers have got eliminated, why preferential treatment for them?? Where were you? By the way I got your point. I will be very glad if you or Hamant Da also post comments on episodes from now on. Please. Also check your mails. Neel, mark my words, the 3 (Faraz, Sayan & Tarun) will remain and you are right it's all for TRP's. But still I believe this show is better than SVOI 2. I am a globe trotter and i rarely get to watch these shows.I keep in touch with Reality via blogs. who have a very global outlook and discuss eveything including music. I also came across this blog run by classical where only music is discussed and nothing else.Some other blogs like http://saregamapashow.com where it is like a Indo-pak war. I have been reading blogs for past two years and found a couple of them run by Rishi and kalyani where they ban folks for writing stuff-- absolutely no freedom of expression. I like this blog because they dont delete msgs AT ALL.I was surprised to see a few posts from the wonderful bloggers of this blog in Classicals blog.I really think you people should write in your blog only and not anywhere else.This is the best blog,Jai mata di--Lets rock! I will b chipping in on and off,not regularly. A retired globe trotter is extending his welcome to current globe trotter. 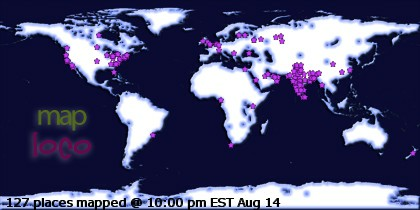 Internet has brought the world on our laptop/computer screen. A man who spent his childhood reading using kerosene lantern had never imagined that such miracles were possible. You are lucky to have got everything in your lap in present times. When I took up the moderation of this blog, my first condition was that I would keep this blog qualitatively superior than most other blogs. For us, number of people who may post is not important, nor is number of posts. Antar da has given me a free hand and you would have noticed the cleanliness brought about . Antar, Me and Neel do not believe that we should use banning as a weapon for autocratic tool to enforce disciplene. Descipline should be inborn and not enforced. Till now, we have not deleted even a single post. Neel is a globe trotting blogger who contributes with her analysis and sporadic postings. We are ardent lovers of music. If I say vocal music, it would be more appropriate.You are most welcome to post your views here as a committed blogger here and let me promise you a free run. I also know that it is people like you , know where they are and how they are and such people do not need monitoring. Wel come again to the blog. Antar I do not see SVOI2, but I am happy to know that it is not good. I will be happier if good singers steer clear of that Mahishashur Gaj, because once that happens his dramabazi will stop. Some time back, I had written that INTERNET is a thing that turns your inside out and reveals what you are. The problem is that we need to know as to "How to look for things". I caught a GOLD FISH today and am bringing it to you. I came across a Media Company Profile with its mission. I am reproducing the salient NOBLE GOALS of the company as under. » Taking India to the International media map. You must be wondering as to why am I posting this here. Ok, I was attracted by a simple 6 word line.
" Achieve a turnover of 120 crores"
My friends, the Mission statement belongs to 'SAIBABA TELEFILMS PVT. LTD.
You can get complete UN UPDATED details from the company's un updated website from following URL. I urge all of you to go through the company website and know what they are actually. Thanx for the message. Even i feel we should not use banning in an autocratic way. And I am not really a globe-trotting blogger- wish I was though LOL. No, I don't think I post there more. i post wherever the topic of the moment interests me. i find this blof far better than classical's in the sense we are all accountable in our own litle ways. The shows last year had me connected because of the 'entertainment' factor. But frankly speaking last year the BOND was mssing between contestants of VOI. There seemed to me at least tension in the air, Harshit and toshi were 2 contestants who didn't seem to get along with some others, abhilasah was snooty, groupism was evident. poeple like Irfan Prantik, Ishmeet and Priyani, sumitra were nice but camarderie was missing. In saregama 2007 there was more joviality and standards were also very high singing wise. Thsi year on both the shows the contestants' attitudes are very refreshing indeed. They seem more like friends than enemies. have to tell you poeple the judging standrds in most shows are DISMAL. the shows HAVE to start taking good,resposible, positive judges. Constructive feedback is improtant,not malicious and bad-mouthed criticism like Ismail Darbar and Sukhwinder give. Even Kunal ganjewala insulted little prakriti and broke her self-connfidence. last year in VOI-1 Abhijeet also beocmes emotional whilst judging which MUST be avoided. overasll I cannot decide which is worse- Biased judging or negative judging. BIASED- alka, Shreya ghoshal,aaadesh,jatin, javed akhtar BUT they don't abuse and insult contestants. Second would be negative judges like ismail Darbar,sukhwinder singh, abhijeet,anu malik who at times make NEGATIVE comments and break confidence of contestants. As for me, I am half Japanese and other half is,Gujarati-Tamil-Telugu-Bengali-and in short Hindustani. My physical globe trotting started in 1979 and has continued till 2006. Yes, I am happy here in a nice and quiet blog. I am sure people would soon realise that our blog is like a park full of tranquility. Judging in SVOIC is so aweful that I have stopped listening to the judges. The worst thing is "ATTACK". Best judge is Shankar Mahadevan. He knows what he is talking about. And IMHO, Supreme Judge is Kavitha Ji. She is so much full of knowledge and humility. I request you to be posting more and more. I sat once again and listened to both Friday's and Saturday's episodes. I am posting my comments on each contestant's performanc. I will start with Saturday's performances first. Sayon in Tare Zaminpar song could not manage the top notes which he had to sing in falsetto. Even in falsetto, he was not proper. Anupama sang "Sham Hai Jam hai"...she has a wonderful hold over her sur and a fine breath control. She is IMHO slightly suspect at very high pitch.This I felt when she sang...Hona Hai Kya part at high pich. At one point, she definately used Falsetto. Pallavi sang "Chhup Chhup ke Chori se Chori". She neither could manage higher pitch, nor she was in Sur in parts. Especially in Antra she was off key.She obviously needs more training. Good that she was eliminated. Shujat Ali Khan sang "Mere Mann Ye Bata"
was a sore point in otherwise a ok rendering. But I honestly felt the real spark was missing. MITIKA Kanwar sang " Saiyan Re Saiyan Re". this girl is the first one to surprise me as much as Kavita ji was. I think this girl is the prime contender for the crown . Mitika in " Bharat Humko Jaan Se Pyara Hai" was exceptionally brilliant in parts at higher pitch. was shadowed by her brilliance elsewhere. Sujat Ali sang " Tere Bina Dil Na Lage" a song for Pakistan. Not a good performance. But the song was also very ordinary without much complications. Still he was Besur in many places. was slightly missing and to me personally was a OK performance. She slipped in sur in one place and sounded lost for just a fraction of a moment. But the best thing is that She did not use falsetto. Sayon sang " Ma Tuje Salaam" was good but at higher notes was clearly in discomfort. and gave him tips to correct this. If you listen to him in this song carefully , you would know what I mean. Is it because of Rajasthani folk background? Sara Raza Khan sang "Yeh Desh Hai Mera"
Her Antara sounded a bit contrieved in herAlap and Mukhada but overall she was good. But this performance was not the one that could qualify her to get the golden key. But among the boys , the Golden key went rightly to Fareed . Thanks for your wonderful words about our blog and and all of us. Just believe me SVOI 2 is one of the worst show I ever watched. Except hosting from Contestants level to the judges (Their judgment & reactions) it's simply worst. Just 2 or 3 contestants are B categorical singers and rest of them are "D". For such reasons I almost stop watching this show. A wonderful & great message. I am also glad to know you are enjoying SRGMP slowly - lol. One thing you must have to agree that last year's contestants of SVOI were 1000 times better than the current one. Now about the judges standards I completely agree with you about Shankar & Pritam but not Vishal-Shekhar. What they did at JJWS along with Farah is unforgivable. They were so much biased and they shouldn't be anyones list, IMHO. I also want to add that Last year Indian Idol's judges (Javed, Annu, Udit & Alisha) were 100 times better than any musical shows at least they were not biased at all. What a wonderful review. For this great review I would like to state my compliment as like as Himesh,"Super, Fantastic, Outstanding, Midblowing". they were not biased in what sense?? Ithough Alisha was biased towards Chang and javed towards Ankita...and hence responsible for them coming in top 5, at the cost of Puja and Deepali. But yes, they were positive judges and did not hurt anyone. they also praised when deserved. I hope all 3 winners this year are female..Mitika from srgm, Ritisha from VOI-2 and some unknown girl from indian idol 4!1 that will set the balance right, from earlier years!! Junoon is also made by mahishashur Gaj. SRGMP - Without a doubt the winner will be a male contestant. As long as Himesh & Aadesh are both out there there is not a single chance for any female contestant to win. SVOI 2 - There is a very big chance that a female contestant might win as the male contestants are too week to compare with them. But who knows how Gajj already scripted the whole show! 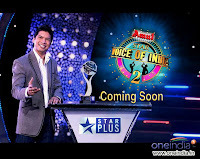 Indian Idol Upcoming - So no comments on that. All are my predictions not premonitions. Himesh and Aadesh are very patriarchal...no doubt. But pritam and Shankar are moderate, they do supprot female ones. I noticed this attitude of Aadesh in VOI-1 and himesh in both saregama 2005 and saregaam 2007. they were not willing to praise a single female contestant. Aadesh did praise Sumitra but trust him to praie the weakest of the girls. Also there were some rumours about Aadesha nd Sumitra, just as there are rumours about ARA nad Antara. God help these judges. Himesh frankly does not care about any girl's talent. All he does is hype his gharana ke male contestants. He was never supportive towards either Nihira or Poonam, who were among the best. I don't know why this attitude...?!! On the other hand javed akhtar is a feminst at heart. He spoke up for all the girl contestants and was the sole reason why Ankita managed to reach top 4. Arey bhai yeh one liners ki comments bas nahin hoti. Atleast Gajji ke upar Maha Niband likh sakte hain. War Pariwaar is alo Gajji's bheje Ki upaj . So was Chak de Bachhe. Now he is gonna lauch Shahar Di Kudiyan Te Galli Ke Goonde. . He has roped in whole India and all the sections of people. Theres going to be a sequel of Freddy Vs Jason & this time every body is expecting to see Freddy Vs Jason Vs Ash or Freddy Vs Jason Vs Michel Myer but believe me it will be perfect if it would be Freddy Vs Jason Vs Gajj. I was really unknown about the rumors which you mentioned. It's shocked me. By the way Ankita was not bad at all despite Pooja was my fav among the girls. Just for the hack of it, I am watching Ek Se Badhkar Ek . The remarkable thing about this show is quality of dancing followed by singing. I know Abhishek Avasthi from the time he entered this field via a contest where in Sarwar Ahuja and others had participated. He is a class dancer , may the best we have nowadays. Another guy who can give him run for his money is Kushal Punjabi. This guy is also amazing dancer. But the person who really surprised me was SANCHITA. seems to be singing her heart out every time I hear her. Eventhough she is miles away from where Anweshaa is, yet she is far far better than what aishwarya is today in terms of perfection. I would watch out for this another Bengali Mishti Doi. In female dancing, Syantini aka Nagin has proved to be one of the finest dancers on TV today. Let me ask you guys , a question. What is there in Bengal that has produced and is producing a shipload of such a fine talent? Hats off to these guys and girls. A little bird told me how gajji uses his contestants who are caught in two year contract to earn money. Anweshaa,aishwarya and Toshi are performing tonight in Hyderabad in a corporate function. I am aghast hearing this news. I hope that Gajji does not make his contestants perform in Marriages in future. I really see read now.... grrrrrrrr!! Aish is a spoilt kid who goes besura and Toshi is Abhijeetka bachha who is not half as good as what he use to be. Remember his blood red in JJWS as if the champs were not voting for him on purpose. So, what will Annu gain by singing in these shows. Also, these shows are more cacaphony and less of music. Coming to hemantdada's pt about marriage ceremony's, these shows are just that a step ahead. jayant, another of my favorites was eliminated by judges and people on grounds that he was good for nothing other than was invited to sing a duet with main jahan Rrahoon with Rahat Saab. Gaj will never give Annu or his beloved Aish an oppurtunity to share the stage with lataji/ashaji/kavitaji. To him they are tools to make a profit of 120 crores. I am still in CU hangover.. when I heard jate jate koi by Pallavi.. my mind went to Misthi Geetasree sing that song as if she was in a trance in the Wild Card round. Why did Gajj throw this kid out at the beginning of the show?? Gajji had his reasons for chucking out geetashri. he didn't want any more competition for Ash, Anu was enough!! In fact, he was well aware thatif geeta stayed long enough, epople might even say she was 2'nd best. trust gajji and his ways!! i still believe in PERFECTIONSISM and EFFORT geetu was only one hwo could match 75% of Anu. Not in talent, but effort. Ash cannot match even 50%. She was a slightly lazy sort, who stayed in her comfort zone. But little geetu proved her versatility, just like Annu did. That's why i feel its a toss up between geetu and ash who was 2'nd best. I feel Ash has an edge in terms of voice quality and classical training. In natural talent and consistency, geetu was far ahead of Ash. Hemant da, will you agree? Geetashri was also from Calcutta and vote bank for Annu was also from Bengal. The source of income for Gajji would dry up if first and second contestants were to come from same state. There will be no sympathy vote. Geetashri had a fantastic range. The only thing is that she was not a productive candidate. Who cares for singing aility when MOOLAH is concerned. aishwarya was a fat cow in terms of vote gathering ability. First of all, I take this opportunity to welcome you with you comments . You are correct when you say that more than 90 percent of posts , if posted by modes are there, then they are not deleted and the blog remains clean. If you would care to look at posters, we have always welcomed people to participate. If people do not post here, then it is not our fault. Antar was hell bent on closing down this blog. I was the person who told him NOT TO SHUT DOWN and started helping to revive this blog. I am a Gujarati from Detroit Michigan and a die hard fan of Bengali Anweshaa. But I am also a die hard fan of real good singers. They can be from Tokyo or Timbaktoo or Kashmir to Kovilpati.I don't care where they are from. It is the real music that counts.Presently I am rooting for Mitika and Chalu Sardar who have what it takes. I do not want to know as to why you have suddenly decided to grace this blog with your august presence with sarcastic remarks , but I am welcoming you with open arms to this blog. It takes all and sundry to make a living environment. Mono culture is boring as well as not good for healthy progress. So do visit often my friend. Take it easy. We are bound to have such sporadic guerilla type attacks and we have to live with that. Whoever he/she/it may be. Does not matter. I also know intent of such attacks. But this makes our resolve much more strong. First I wanna welcome you to this blog. Hemant Da Is a wonderful and natural person. Neelakshi a great & Kind hearted human being. Goofy, Arindam, Jatin, Siddhart, Shriddhar are the part of our small family. And Jo Jo, I know who you are and the reason I am feeling shame. Though God bless you and wish you a very happy life. Sorry for all of these and let keep our discussion on music only. Me, Hemant Da and everyone knows very well that you are a wonderful human being so just cheer up and forget the rest. Welcome to this blog and definitely we will continue our discussion on music only. I think Faraz, Sayan & Tarun will remain and will not eliminate so soon. What do you think? Arshad is very good but they (Faraz, Sayan & Tarun) are not bad either, IMHO. @hemantdada.. I agree with you about Geetasree.. this did not come to my mind...but to me she will always remain a finalist in the show with Annu. look at Pritam's eyes light up when Geetu started singing Jindagi me Koi..
and look at Shreya... whose eyes seem to say" I am trying my best to get rid of one Bengali (Annu) out of my way.. and now I have to deal with another Bengali (Geetu)"
"Indian Idol Season 4 will air from 19th September. Hussian will host the show alone. There will be no female host. Mini won't be hosting the show this year as she is expecting. The format will be same as the previous seasons. Sonali Bendre, Kailash Kher, Annu Malik & Javed Akhtar will be the judges. Sonali Bandre ??!!?? The show will replace Dus Ka Dum & will air Fri-Sat 9 pm. Deepali & Chang will be hosting in Audition Rounds. The promo has hit the screens on 15th August where they showed Deepali & Chang with the contestants". If you go to official website of Saibaba telefilms, please open videos. You will be surprised to notice that there are two Videos of Anweshaa in the beginning along with Geetashri's video . I could not see the winner aishwarya's video. So much for the value of the winner. I too agree that its time we shortlisted the final five. I think that there is going to be a lot of moves, counter moves and shakeups from now on. But do you seriously think that we will have so much of good songs left for them to impress us? Thanks a lot for your answer to Jo Jo. Your last two posts deleted just only to use bad words nothing else. Hemant Da warned you once but you didn't listen. What happened between Neelakshi & Kalyani (Referring to likings/dislikings) is completely between them where any 3rd person shouldn't involved. I still believe both Neel & Kal are great human beings so you better off from all of these. I will be glad if you mention your name. (Also there are chances for Arshad & Fareed to reach in the final 5). This question of pro-Bengali, IMHO has no locus standi as most of the contestants in any reality show are Bengalis. Bengal is a factory that churns out best talented singers, actors etc. So it is natural that six out of ten favorits will turn out to be Bengalis. I am a Gujju and my favorit is Anweshaa. This does not make me a Pro Bengali. So let us leave this pro and anti thing on the side or back burner and get along. Do you really think that Shujat will reach that far? I have my own doubts . Final five will be based purely on their productivity.TRP of Pakistan has no impact here. Also neither their singing ability. This is a sad but real truth of reality shows of India. North zone, Central-west and east zone will decide finalists. I would be happy if you do not succumb to brickbats. They are bound to be hurled at anyone occupying the seat . Destabilization is fast achieved if we react to such aggrevations. If I were you, I would just ignore such provocations. So chill out Ma and let the rain water get drained. Chhodo bekaar ki baaton ko.. If we stoop to someone's level, then what is the difference between that someone and us? What is to be achieved by knowing any identity? I don't think it will serve any purpose.It will just leave a long lasting pain and a notion to get even. I think that you will make a proper choice. I just wanna narrate one incident of VOI-1 to change the mood here. "Main is film mein bahut hi kamina, zalil, gira hua insaan bana hoon, bilkul Aadesh ki tarah". Aadesh Shrivastav just laughed it off. So this is the opinion of a bollywood star about the learned saragampa judge Aadesh Shrivastav. It seems Bollywood people dont seem to have a very good opinion about Aadesh Shrivastav. Can you send me the link to what you have written? I would love to get something more towards discussing music. What's your take on possible final five? I think Mitika and Sunvinder will surely be there. I dont hv the link for that, but shashi(VOI-1 blog owner) might be having it. As for the finalists of saraegamapa, I told you I am boycotting this show because of that one judge(you know who) of this show. I cannot bear his sight. Anyways all the best to your favourite participants. I am sometimes quite surprised myself that I remember every small detail of VOI-1. I have now realised that I used to watch that show quite minutely. I remember each and every show so clearly as if all these things happened yesterday only. Listen to Hemant Da. He is right. Just ignore such provocations which I did so many times in last 1 & half year. Treat all of these as common part of life and be here with all of us. One thing that baffles me about Aadesh is that this guy has no standing of his own. He only survives on a few movies he gets from Amitabh Bacchan. Still he behaves as if he is a very big music director and is an authority on music. Now just see what is his standing infront of Himesh,pritam da and Shankar. Does he deserve to sit with them. Kahan Raja Bhoj kahan gangu telli. I havent even heard a single song of his music since a long time. I appreciate the Saregamapa team for bringing together the Kings of music industry like Himesh, Pritam Da and shankar together. But by bringing in Aadesh Shrivastav they hv spoiled the whole show. Brother, I admire you for your tenacity. You hate someone and you hate him from all your heart. If you love or like some one, you do it the same way. I am in half a mind to open a Japanese style "BASHING ROOM" on this blog. In such bashing room, they have a statue/object. Any employee who is angry on his/her boss, co worker or anybody, goes in closes the door and starts bashing the statue/image/object verbally / physically . Once his anger is spent, he /she comes out and calmly resumes the duty. Do you know the industry of begging? This industry thrives on pity,sad stories and such sentimental factors. The begger is a pawn in the hands of goondas. They maim, blind or break legs of poor and needy defenceless people and make them beg. These people show their wound, and create pity in your mind and force you to part with money. What Gajji does is same but in the most sophisticated manner. contestantds who have a sob story to tell the world. Jayant was one such. Do you remember a blind boy of Delhi in Sanchita's time? Do you remember 600 rupees salaried Telephone booth operator girl Poonam? Now he has a man from Chattis Gardh who is on crutches. This guy walks upto the stage ever so slowly and that too with the help of some people. I have never seen any person using crutches moving so slowly. In the just concluded CHAK DE BACCHHE, the winner boy Deepak was an Adivasi from Ranchi.The AV kept on showing his thatched house and a very small adivasi village and the boy's poverty. Every contestant is made to use MOTHER FACTOR.This is a MUST. All these contestants beg for votes. They are not begging for themselves but they are begging for a corporate exploiter called "Father of Reality Shows." Tell me, who is better.The galli ka goonda or corporate Gunda? I feel sorry for the contestants. Both you and antar have my e-mail id. You can mail it there. Oh, and I promise i won't try to combat the person.But I want to know. i won't bring up the person's identity in the blog, for sure. You hv written "I know I was rude to Neelakshi but atleast u ppl should acknowledge that she has fought with every single person (Hard, Kris, Kalyani, Jatin, Lizzie etc, the list is endless). Whosoever criticised a bengali singer on singing abilities, she has hurled all sorts of abuses on him / her in the worst possible language." Neelakshi has never used abusive language against anybody. Inspite of having difference of opinion with me on various issues she has always responded in a decent manner. Infact, it has only been Neelakshi with whom I have never fought in any of the blogs inspite of having different opinions.She has been friendly to people irrespective of the fact whether they agree with her or not. lets see if we are right or wrong! Some of the posts including mine, Hemant Da & Neelakshi's are deleted as they were not related with music at all. Hope you all already realized the reason. Let keep our selves to discuss on music only. Please check your mails. It's urgent. I never mentioned you to quit this blog. You are always welcome. I only tried to say, we all should discuss only on musics here nothing else. I hope we all gonna do this from now. As per breaking news on ZEE channel, the format of SaReGaMaPa 2009 is changed due to pressure from the mentors. We will have to wait till Friday night to see the changes. Let us hope that they are good for the show ,public and contestants. Please I am requesting you to stop now and end this topic for once & forever. Me & Hemant Da already welcomed you in our blog. So let discuss on music from now on and just forget everything. For a change of scene, I walked through different channels and looked for REALITY SHOWS aired on them. I did see some of them and the result was HILARIOUS. May be on Sunday, I will post some reactions to some of them. But these saas-bahu serials are more hilarious. Further there is no end to them. In reality shows atleast we know that show will have an end and a winner. I wanted your reactions on the Big Boss 2 show. Do u think controversial ppl like Monika Bedi & Rahul Mahajan should be allowed to participate in such shows. Actually I wanted my take to publish on sunday but since u brought it up, Yes, I am watching BB2 and I think the plot is gelling. Rahul Mahajan and Ms.Seth on one side and Monica and company o the other side will be an interesting thing to watch. Monica has sympathy factor working for her. Rahul may be going sooner than we think. Do you think Monika's tears are real or is she faking things just to arouse sympathy. But i must say she looks really sad when she cries. I have noticed these two are getting quite friendly to each other. Monica is a real person. Rahul has it all and is an ex drug abuser. He is also a known lady charmer. BEWARE OF A PERSON WHO IS ALWAYS TOO HELPFUL TO PEOPLE. They have very basic evil intentions. "BEWARE OF A PERSON WHO IS ALWAYS TOO HELPFUL TO PEOPLE." I think Munshi PremChand mentioned this in one of his novels. "There is always free cheese in a mouse-trap". Now what does Sonali Bendre know about music. But if farah khan can be a judge so can Sonali. I think Sonali Bendre has been included to add glamour quotient to the show, which is badly missing in SVOI 2. But I admire one thing, that Indian Idol producers have stuck with Anu malik as a permanent judge. This has ensured continuity. I think in VOI too atleast Jatin pandit should hv been retained. he was less controversial compared to the other five. RM has got all the makings of a SUGAR DADDY. I hope these girls realise it ....sooner the better. Monica should be more careful because she is alone, distressed and is very vulnerable. Actually she needs emotional support and this is a dangerous situation. Even Sanjya Nirupam came forward to help her find a house. PS. Did you mark that four ladies are in wrong side of thirties? Abhaas proved that he is a prodigy boy. I was mesmerised by his rendering "Jag Soona Soona Lage". Antara's performance was neither so great and nor so bad . But she did not sing so good that Anu Kapoor started lavishing praises. Kalpana got best ranking of last two weeks and it was justified. Saddest part was elimination of Ali Abbas. I hated him leaving the show. I am badly waiting now for links to SaReGMaPa being loaded. I am pasting the link to the original song for comparison. Compare line by line and you will know what I mean.